Pond5 is one of several creative marketplaces out there where you can find stock footage, photos, video effects, audio clips, music and even 3D models. What we found appealing about Pond5 was its great selection of public domain photos and videos, including some fascinating historical footage. 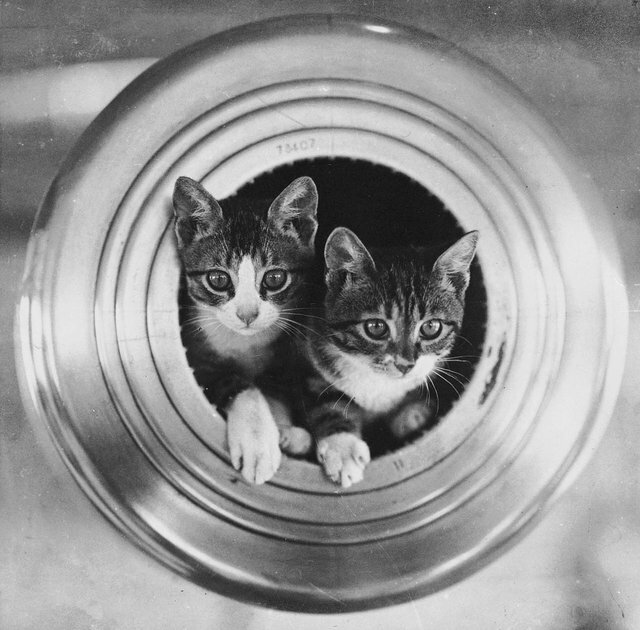 If you’re working on a historical documentary, want some flashback footage for a short film or you just need a black and white picture of two cats in cannon barrel (right), this is a great place to look. What’s more, because it’s a marketplace, creators of content can upload their material for sale to other creatives. Definitely worth checking out this Follow Friday. Follow Friday is our weekly featurette where we highlight people and sites we think are worth following. Take a look at our past suggestions here.